Have you started “Pre-Aiming” yet? I have a ridiculously simple training tip that will help you make faster, more precise first shots from the holster without having to spend thousands on ammo and range fees. You see, when you combine more efficient technique with more effective training methods, it doesn’t take as much time or money to achieve or maintain high level, life saving skills. The secret is that helps integrate your proprioceptive, vestibular, and visual aiming systems throughout the draw stroke process. 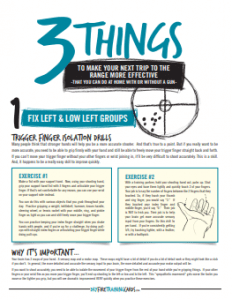 This comes from Draw Stroke Mastery, which is by far, the most powerful training available to put fast, accurate first hits on target with minimal practice time using cutting edge training techniques. It’s the training system that allowed me to shoot the 5th fastest time in the world in the IDPA Classifier with a subcompact BUG gun…even though I spend less time practicing than most people spend waiting in line for coffee. I already purchased Draw Stroke Mastery and the Alpha shooter programs. Both are great programs that I would recommend to anyone. 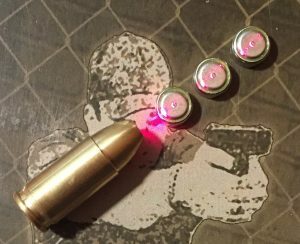 Where can I purchase one of the 9mm laser rounds (i.e. brand name, cost, etc.). Thanks! I responded to your question by email. That’s just the tip of the iceberg…a tip is fine, but a system to use the entire collection of tips effectively is where the real value is. Looking forward to the training! It’s a good tip, I use it in my training with my students.